8 Best Pet Hair Vacuums UK 2018 Reviewed - Keep Dog And Cat Hair at Bay! Once again the Appliance hunter has set out to find the best of the best, this time searching down the Best Pet Hair Vacuum Cleaners. It was a long search but victory was found! This guide contains everything you need to know plus I’ve gathered together and reviewed the 10 best picks. I’ve got a quick summary below you can check out with a link through so you can order yours. Or keep reading for more info and longer reviews. The good thing about pet hair vacuums are they come in just about every style. The bad thing is that makes it much harder to pick which one you want! Upright vacuums are hands down the best for pet hair. They have the most powerful suction, biggest cannister space for collecting dust and hair and they have all the attachments so that you can clean just about everywhere. If you have a lot of floor space to vacuum then an upright vacuum is definitely the way to go. The only place they fall short is on stairs. The good ones have an extendable hose you can use to tackle the stairs but it can be a pain in the backside to try and deal with. So if you want an easy life an upright vacuum and a powerful handheld are the best way to go. I’ve written a separate post on upright vacuums that should consider checking out if you think it’s right for you. Cylinder vacuums are smaller and definitely easier to maneuver around the house but they tend to have slightly less suction power than their upright counterparts. They do tend to have nice big containers so you don’t have to empty them too often and they do still have good suction as long as you get the right one (like the ones recommended here). They also tend to be cheaper than an upright (though not always) which is a plus if you’re on a budget. Stick vacuums are great to pull out and use on demand. Nice and lightweight and you can whizz them around the house in no time. The weight is at the top of the handle so you can start to get tired in your wrist and forearms if you use it for an extended time. They tend to have pretty small containers which aren’t ideal. But emptying them more often is the price you pay for a nifty little lightweight vacuum. They’re great if you vacuum a few times a week because there’s no fuss you just pull them out the cupboard and go. Handheld vacuums are great for spot cleaning or getting hair off of sofas and upholstery. So if you have a dog who likes to sneak up on the sofa a handheld vacuum is pretty much a must. A lot of vacuums have attachments for cleaning sofas and you can use the loose hose pipe if you have an upright but a handheld is just so much easier. Again I’ve got a different post on handheld vacuums that’s worth checking out. Robot vacuums don’t normally cope with pet hair, it tends to fill them up too fast or they don’t have enough suction. But, there are some that do a great job with pet hair. The age-old debate of corded vs cordless goes back hundreds of years. Ok it goes back to 2001 when the first cordless vacuum went on sale. Even then no one could afford it so there wasn’t much debate.. But this is today! And there are some very reasonably priced cordless vacuums that are really powerful. Cordless vacuums are almost always stick vacuums, at least the ones that are any good are. I’m fairly on the fence about cordless vacuums. I love that they’re so easy to use, that you can just pick them up and go. But things that are battery powered tend to have shorter lives than corded alternatives. 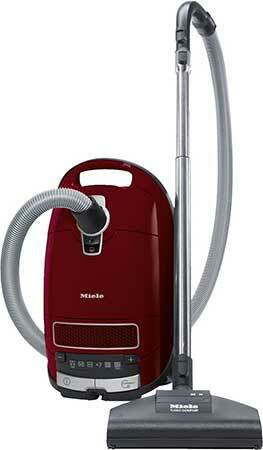 According to a consumer reports survey a vacuum will last about 8 years depending on the brand. But I can’t find any info about cordless vacuums. Generally, though the older something on battery gets the more its battery loses power. Think of an old mobile phone that needs charge twice a day compared to a new one that can last a day and a half. I think cordless vacuums will keep on vacuuming for many years but how long they run for might start to fade. So if you have a big house with a lot of floor space that’ll need the full charge then go for an upright. But if you have a small house or flat then a cordless will do you just fine. Again this comes down to personal preference and what type of vacuum you want to get. Bagged vacuums tend to be cylinder vacuums, like a Henry Hoover, where you can just lift the bag out and throw it straight in the bin. I love this style because there’s no mess. Because you don’t want to vacuum, get everything all nice and clean then go to empty the vacuum and put hair and dust everywhere. The downside is, you have to keep buying more bags which is an expense that can add up over time. it won’t add up to massive amounts but still something to think about. Some bagless vacuums are great because they’re designed to minimise mess. Stick vacuums can be great for this, they normally have a nice easy emptying mechanism so you can open it straight into the bin. So again it’s up to you! Both are great for different reasons and both are great for dealing with pet hair. What is a HEPA filter you ask? The HEPA filter inside a vacuum cleaner that acts as an air purifier. So air gets sucked in through the hose and with it all the dirt. The dirt gets collected in the canister and then the air passes through the HEPA filter before going back into the room. Why is it good for pets? 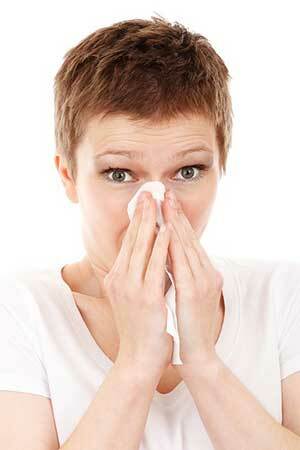 Because it takes all the allergens out of the air, great if you have visitors who might be allergic to cats and dogs. It’s not as important if you have zero allergies, but it does clear the air up and leave your house smelling fresher after you vacuum. Hepa filters are made out of fiberglass (and other things) and work by basically attracting allergens into the air to it where they get stuck. And if they’re stuck on the filter they’re not in the air! So, we’ve made it through all the different types of vacuum for pet hair, now what about inside each of those categories? How do we know which is best! Let’s take a look at some of the must haves for a pet hair vacuum no matter what type. If it doesn’t have good enough suction how are we going to pick up all that damn pet hair that’s everywhere?? Unfortunately it’s hard to actually define good suction, as it’s not measured. But I’ve done my very best to talk about it with each vacuum further down. All the recommendations here are great for pet hair so good suction is kind of a given. But if you choose a different one not recommended here then make sure it says “good suction” somewhere or the reviews talk about it. Maybe not an absolute must have but if you’re vacuuming up a lot of hair, especially around shedding time, then a big container is a must or you’re going to be emptying it after every use. If you don’t mind emptying it then it’s not really a problem of course but I know most people would rather avoid it! Vacuum makers don’t always say but more than 1.5L is a good size that won’t need to be emptied too often whereas 0.6L might need emptied every second use. It really depends on how much it’s needed. Hand and hand with a good container size is having one that’s nice and easy to empty. Bagged vacuums are the easiest, as we talked about earlier, but you don’t want to be fiddling around with clips and spilling dust everywhere while you try to empty it! These are the must not haves. A trap to watch out for when you’re buying a pet hair vacuum cleaner. Some vacuums are marketed as pet hair vacuums when in reality they’re normal vacuums with a small head attachment that’s good for pet hair. Now this little head attachment is nice and powerful and does a great job of vacuuming up pet hair but it’s not practical for doing the whole house. A great vacuum made for pet hair is one that you can use normally and still make short work of hairy carpets. And you’ve made it to the main event! I’ve gathered together the 10 best vacuum cleaners for pet hair and given a short review of each. I’ve linked through to where you can buy it in the “Price & Reviews” button so you can check out the price, read some other reviews and order yours. They’re linked through to Either John Lewis or Amazon (normally the cheapest one) so order yours today! What I really liked about the Shark Upright Tru Pet Vacuum is the Powered Lift-Away feature. This lets you lift the canister out of the body and use the hose and regular head away from the body, which is great if you’re vacuuming stairs or other hard to reach places. I’ve got a picture below to show you what I mean. The downside is this is one of the traps where the “for pets” feature is actually an attachment, not the main vacuum itself. I decided to keep it on the list because the main vacuum is still very powerful and the head attachment is useful for sofas, curtains and things. It’s got a strip of LED lights down the front which helps you see underneath furniture and then because you can remove the body you can lie it flat and vacuum right underneath. Far easier than trying to move sofas or beds to get in and about them for a proper clean. I’ve written a seperate review about the Shark 681UKT if any one wants some more info. Overall, a great vacuum for pet hair, carpets and dealing with stairs. Lots of suction and a cool detachable body. The Dyson DC41 Animal is likely one of the most popular full stop! 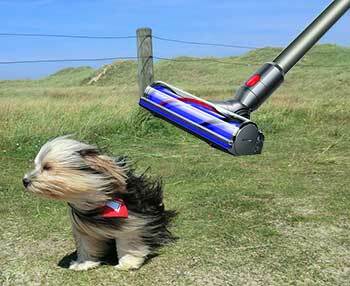 It has ridiculously good suction and the tangle free turbine makes it ideal for dealing with pet hair. Nothing worth than trying to untangle a big wad of hair from the bottom of the vacuum. The downside is, of course, the price, it’s not cheap and I won’t pretend it is. But Dyson vacuums are amongst the best and it will last you many years to come. It also has the cool “roller-ball” technology that means it rolls around on the big ball instead of four wheels. This means it just glides around effortlessly, you don’t have to keep going back and forth over the same bit to get right up to the walls. You’ve probably seen the adverts right? Pretty cool. The cleaner head auto adjusts to what type of floor it’s on too. So if you go from carpet to hard floor it knows exactly what to do. It’s genius! 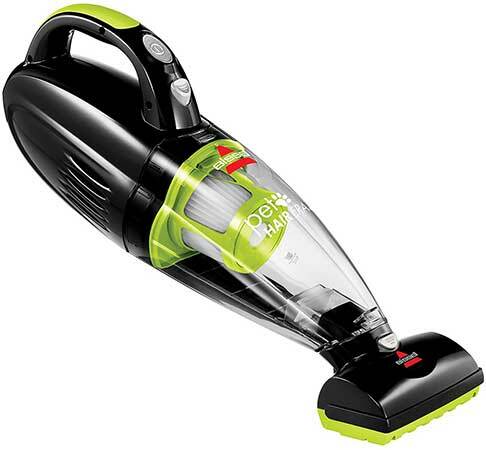 Overall, A fantastic vacuum that’ll make short work of pet hair on any surface. Everything you need in a pet hair vacuum. I won’t beat around the bush, it’s a Dyson so it’s quite expensive. But it could also be one of the most popular vacuums for pet hair. It’s got a charging docking station you mount on the wall so you just have to hang it up and it’ll start charging which is so handy. Because if you normally forget to charge a cordless vacuum you might end up having to wait half the day for it to charge before you can use it again. It has a 40 minute run time (on the lower power setting) which is more than enough to get around even a big house. On the more powerful suction setting, it’ll likely only be half that time but you don’t really need to have it that all the time. You can double it as a smaller handheld vacuum as well which is cool, it’s got a special head attachment so you can de-hair furniture and curtains really easily. And it has the all-important HEPA filter to clean up the air while you vacuum. Overall,if you can afford it you won’t be disappointed, a really great cordless vacuum for pet hair. I wasn’t sure whether to put the 25 minute run time as a pro or a con. Because it is still quite good but compared to the Dyson’s 40 minute runtime it’s not great. So good if you normally manage to vacuum your house in 25 minutes you’ll be fine. This is a budget alternative of a cordless pet hair vacuum. It’s got good suction but struggles on hard floor because the way the rollers move they blow the dust around on hard floor rather than pick it up. On carpet though, it does a great job with pet hair, plenty of suction to lift it up out the carpet. It’s got a mounting bracket so you can hang it up which is great because it keeps it tidy and up off the floor. Just mounting it doesn’t charge it but there’s a cable you plug into the vacuum while it’s charging that does just fine. 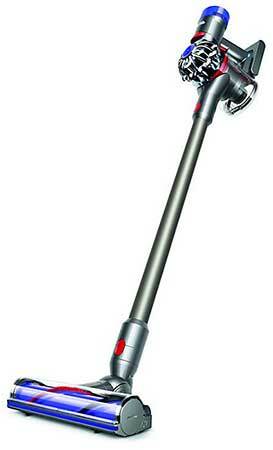 Overall, a great budget alternative to the Dyson V8 Animal above, good suction on carpet for dealing with Pet Hair. It’s not much heavier than some of the upright pet hair vacuums but because it’s a lot smaller it feels a lot heavier. However, the good thing is that it has a massive 4.5L capacity. Absolutely ideal if you have a big dog (or dogs) who shed a lot. All the vacuums here are good for dog hair of course but the large capacity of this one made it especially good. The same goes for cats and cat hair. And it’s bagged which makes disposing of all the hair and dust even easier. A necessity when the capacity is this big. 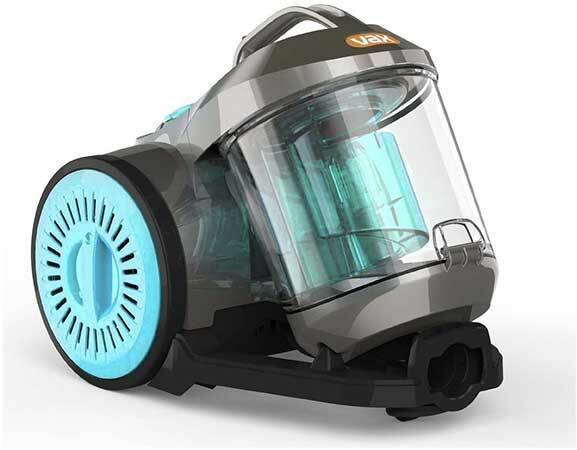 It’s got really powerful suction and the head is designed with pet hair in mind so it easily lifts up off the floor. 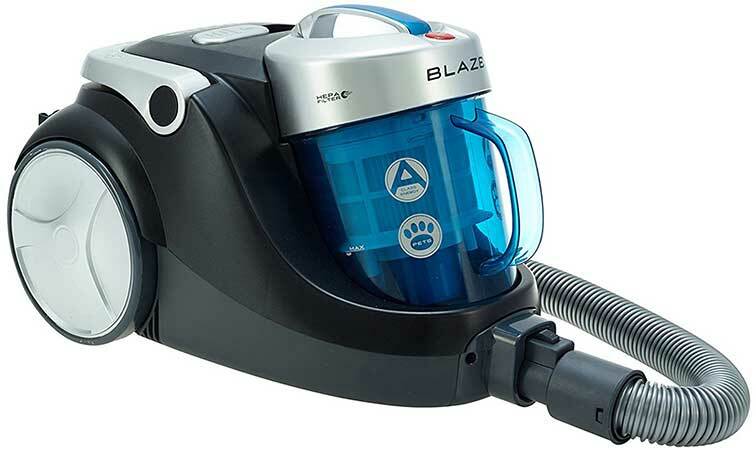 Overall, a great vacuum for dealing with dog hair, the extra large capacity and bagged canister make cleaning up a breeze. The suction on this pet hair vacuum is maybe too powerful. It’s great for picking pet hair off of thick carpet and hard floor, but it takes thin carpet with it! Which makes it quite difficult to use. It does have an adjustable head so you can reduce the power which helps a bit but it still pulls a little while you go. But if you have thick carpet or wood flooring you’ll get on fine. It’s got a nice big 2.2 L capacity so you don’t have to empty it too often and an attachment to get in and about furniture. One of the annoying things about this one is because the pipe is so low down it can be quite bad for tipping over. More of a nuisance than an actual problem but worth mentioning. Overall, a good vacuum for pet hair in shaggy carpets and lots of wood flooring, not good for thin carpets or lino. It’s a bit pricey but it can’t be beat at its ability to pick up pet hair. A special motorized brush dislodges pet hair getting an even deeper clean. It stops those annoying hairs that seem to have sewn themselves into the fabric of the sofa somehow. It’s cordless and has a 15-minute battery life so great for going out and cleaning your car with, a couple of different nozzles help you get in and about everything. Great suction and a double action filter which cleans all the germs and allergens out of the floor. Overall, a great handheld vacuum cleaner perfect for pet hair. Not hugely different from the normal vacuum of course but something to be aware of, best to use it when the dogs out for a walk. What I really liked about this one is the waste bin is quite a good size so you don’t need to stop half way through to empty it. And it has good enough suction to pick up pet hair on thin carpet and hard floor. What I really like is that it actually docks itself to recharge when it starts getting low on battery. It lasts about an hour and a half and takes about 5-6 hours to charge which isn’t bad. 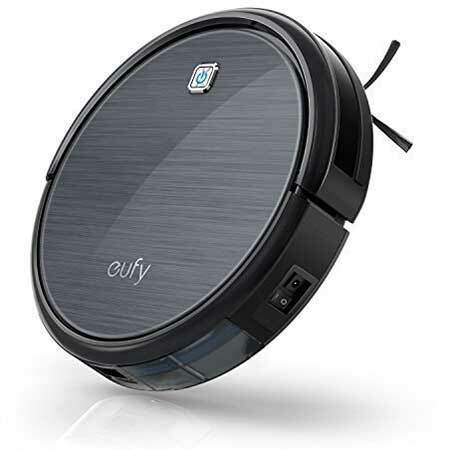 Overall, A great robot vacuum for pet hair, self charging and a good waste container size. Are these the best hoovers for pet hair too? Yes! These are the best hoovers for dog hair, cat hair, and all other pet hair. Hoover is the brand rather than the appliance itself so just to save confusion I’ve stuck to calling it the best vacuum cleaners for pet hair rather than the best pet hair hoovers.